The Apartheid Museum opened in 2001 and is acknowledged as the pre-eminent museum in the world dealing with 20th Century South Africa, at the heart of which is the apartheid story ? a nation's resistance, courage and fortitude. For anyone wanting to understand and experience apartheid South Africa, a visit to the Apartheid Museum is fundamental. The museum is a beacon of hope showing the world how South Africa is coming to terms with its oppressive past and working towards a future that all South Africans can call their own. The exhibits have been assembled and organized by a multidisciplinary team of curators, film-makers, historians and designers. 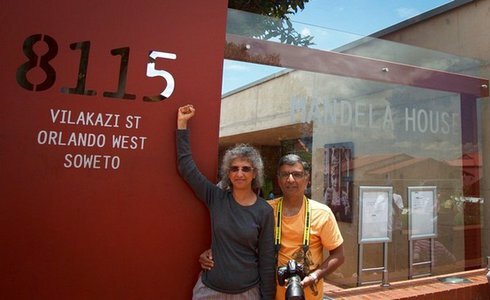 They include provocative film footage, photographs, text panels and artifacts illustrating the events and human stories that are part of the epic saga known as apartheid.